As promised, here is my first entry for my 2010 Holiday Gift Guide. Because there are so many items to cover and discuss, expect a Holiday Gift Guide video post from me every week until Christmas. 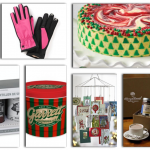 The items featured on my gift guide either have been purchased by me or have been sent to me by various companies. 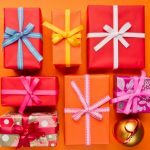 I am not paid for my gift guide suggestions nor do I post everything I am sent—I only recommend items that I truly find useful and that are affordable for my readers. This week’s Holiday Gift Guide also features an impromptu giveaway of an item from Sephora that I purchased but later found was not the right color for me. To enter to win the item, simply watch the video and leave a comment on You Tube. I have the portable tea decanter from argo tea and I llllllllove it! Great gift suggestion.